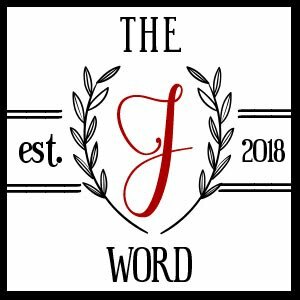 It's time for a new start at Make My Monday and this week Fliss has chosen the theme of NEW BEGINNINGS for our challenge. 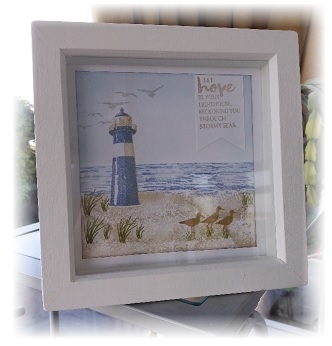 Pieces of mount board were cut to size and stamped on with stamps from last year's Sale-a-bration offer. 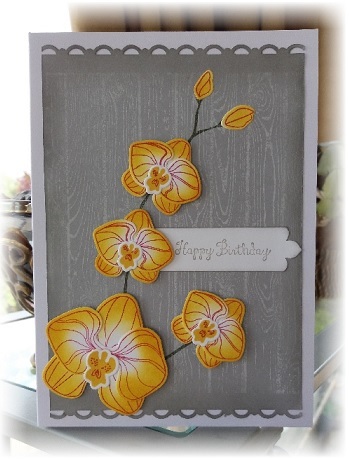 I used a variety of markers to colour my stamps and overlapped the images. I also stamped more than once before re-inking. 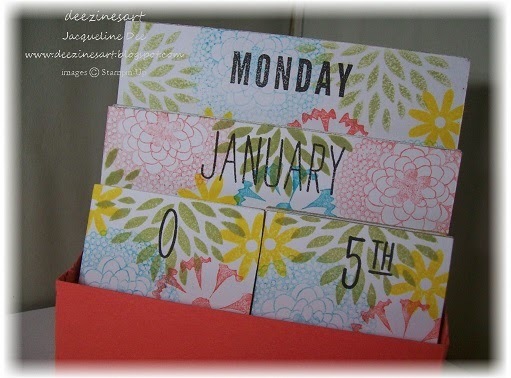 I then added the calendar details using the Stampin' Up Project Life Day to Day stamp set. All the elements are separate so can be used for any year. This is going straight on my desk - I'm hoping that it's going to keep me organised this year - maybe help me to get my posts done on time!!!! 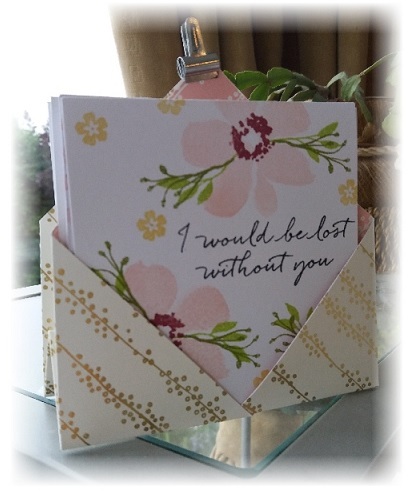 Thanks for looking - please do take the time to pop on over to the challenge blog and take a look at all the other beautiful creations from the dt. I could also do with this to help keep me more organised. Great project - lovely to have something so pretty you can look at all year. 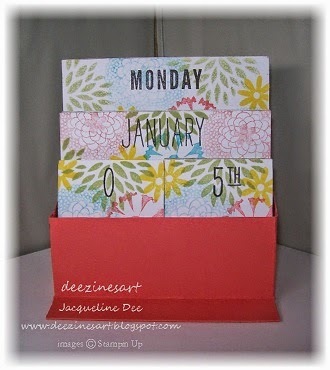 A really fabulous idea Jacqueline and beautifully stamped too. Your other creations this week are lovely too.